The Real Estate Recovery Has Just Started! You’re going to get a little bit of everything! Demand for housing grows over the years as teenagers become adults, leave their parents’ houses, start having kids, and need a new place to call home. But the biggest news when it comes to the Aussie economy lately is what’s going with China. The media and some experts are predicting that an economic slowdown in China will mean bad economic news for us, too. But what’s the real story about all of that? Last year, China’s growth rate was the lowest level since 1999. China is the workshop to the world and utilizes amazing amounts of raw materials for its huge manufacturing sector. Fortunately, a Chinese slowdown isn’t a simple translation to an economic slowdown everywhere else. But Australian coal exports to China went up by 30 per cent last year! And BREE expects our iron ore exports to China to grow an amazing 22 per cent! Like the millions of cashed-up Chinese who are leaving China behind. And just how many “cashed up” Chinese are rich enough to buy houses in Australia? Those Chinese investors and émigrés have now set their sights on Australia. If you live in Sydney or Melbourne, you will have felt the effects of the “Chinese exodus” already. Housing prices in Sydney, for example, went up 15 per cent last year! The fact is, China’s economic slowdown as well as the horrendous pollution problems that they certainly have, are both driving factors in the rich now wanting to leave China. 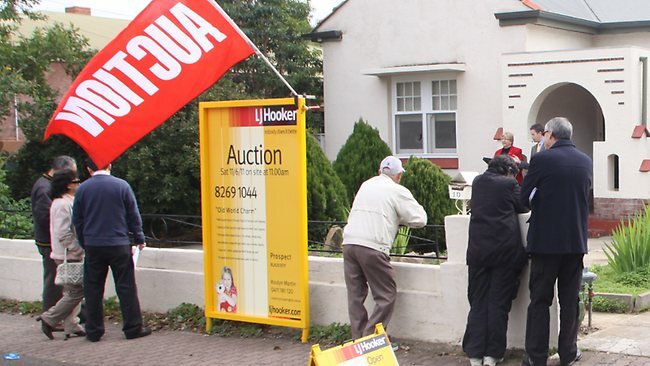 The full impact of the Chinese buyers of Aussie real estate will take years to be fully understood and known. But in the last three years alone, the number of Chinese buyers in Australia has grown 900 per cent! As the Chinese government continues to relax its restrictions on its wealthy citizens moving abroad or simply buying overseas properties, we can reasonably expect that number to become much, much higher. They have been known to pay $100,000 or even $200,000 above the market price in Sydney and Melbourne! Is it any surprise that we’re seeing price inflation? Now, of course, there are restrictions in Australian laws regarding foreigners buying up property here. That is, without an exemption from the Foreign Investment Review Board (FIRB). But exemptions to the law have become the rule, as applications are virtually guaranteed to be approved. Just give them a smile as you pick up your next deal.